Fellow children of the '90s, I have some news to report to you that is somehow equally heartwarming and soul crushing. 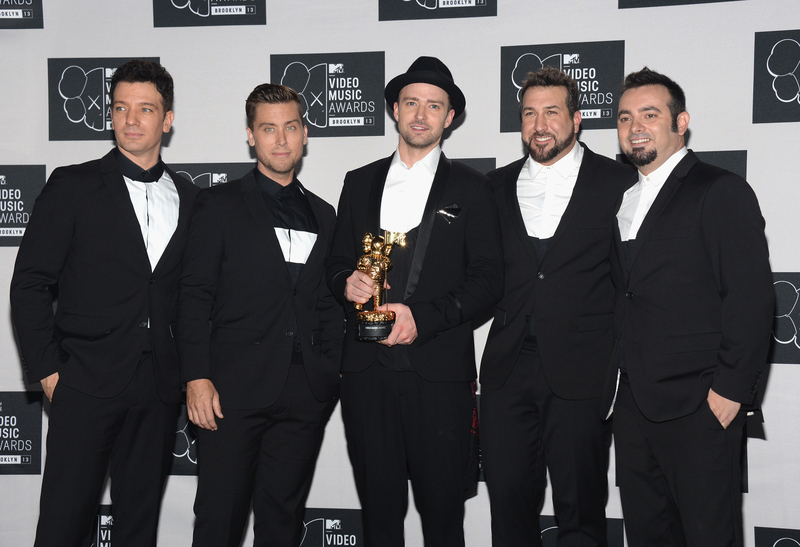 You might not be ready for it, but here goes nothing: The boys of *NSYNC reunited as evidenced in a pic Justin Timberlake posted to Instagram. Are you dying but still clinging to life? Yes? Well, you'll be sure to flatline after you hear exactly why the five guys got together, because it wasn't just for old times sake. For real though, brace yourselves. As per Timberlake's Instagram caption, one of the members of the band was celebrating a milestone birthday. One, that is sure to perturb every millennial suffering through a tumultuous quarter life crisis. The singer wrote, "JC's 40th... And, if you don't know now you know..." *Rubs defibrillator paddles together* Yes, you read that correctly. Light of your adolescent life and man of your tween dreams, JC Chasez, has spent 40 whole years on this Earth. Despite Chasez's birthday aging us, too, there's still a lot to be thankful for. First of all, '90s kids' most favorite boy banders (take that, One Direction) still look damn good. Like, hubba hubba. Secondly, getting to see them together again, arm in arm, is a gift to all of us who once had *NSYNC posters littering their rooms a soberingly long time ago.